Magpies, laughing kookaburras and willie wagtails are on the decline in some regions, a report tracking the health of Australia’s bird populations has found. Birdlife Australia, analysed data collected in more than 400,000 surveys across the country, the majority done by bird-loving volunteers. The State of Australia’s Birds Report states that while predators including cats, habitat loss and even changes in climate might be to blame, more research was needed before certain species became endangered. Habitat loss and changes are polite euphemisms for human destruction, such as land clearing and degradation for mining, logging, industries and urbanization! 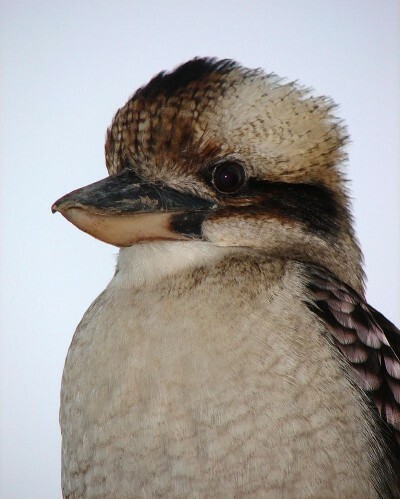 Sightings of kookaburras have decreased at a rate of 40 per cent across south-eastern Australia. Magpies have declined significantly on the east coast, a new report shows. The Eastern curlew, a migratory shorebird that has recently been declared critically endangered. Numbats, malas, bandicoots and bettongs are among the mammals the Federal Government’s identified in its new Threatened Species Strategy. The birds include the mallee emu-wren and Norfolk Island boobook owl. The Environment Minister Greg Hunt says feral cats are a serious threat to native species and that he wants the feral animals eradicated from five islands and 10 mainland enclosures within five years. Hunt has also set a target of 10 new cat-free enclosures on mainland Australia by 2020. Dr Euan Ritchie is with Deakin University. He wants native predators like dingoes and Tasmanian devils reintroduced, as a natural way of culling foxes and cats. This is an enlightened approach to the status of Dingoes that have been vilified and trapped over decades as a threat to livestock! He also wants Tasmanian devils back to the mainland. Ms Jane Nathan says in The Age 16 July 2015 that Melbourne is headed for eight million by 2050, and goes on to describe what it will be like in the most wildly optimistic tones imaginable. She says “our social harmony, kaleidoscopic culture, clean food, innovative education systems and greatly reduced crime rates are the envy of the world. Our neighbourhoods are artistic, green and pristine”. According to MP Kelvin Thomson, in the Federal seat of Wills, it “Sounds like paradise. The problem is, there is no evidence to support it…And as for green and pristine, just this week it was reported that even common Australian birds, like the Willy Wagtail and the Kookaburra, were being sighted much less frequently. The reason for this is that the streets of mature gardens that used to give our birds food and shelter have been replaced by multi-unit developments and high rise. The vegetation has been destroyed, and the birds have died out”.